Near Omaha, Nebraska we entered Boy’s Town. 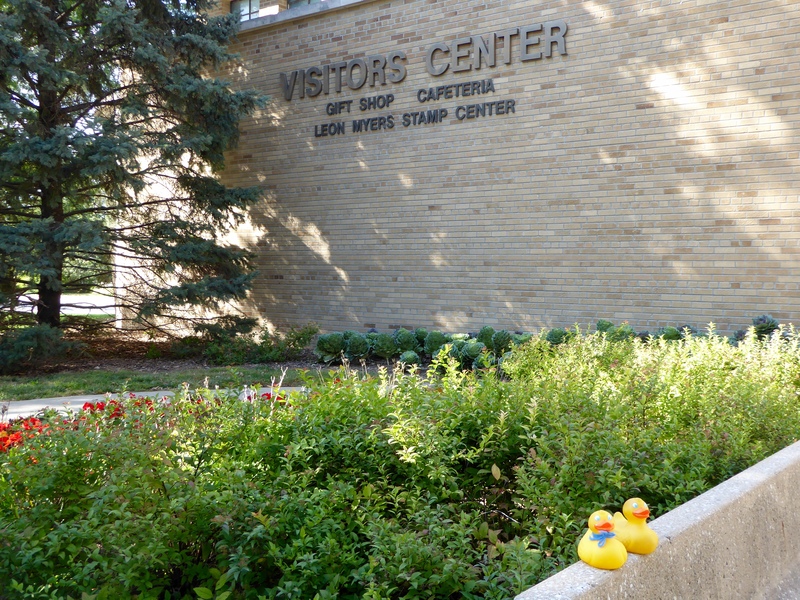 Of course, our first stop was the Visitor’s Center. After talking with the helpful lady at the desk and doing our souvenir shopping, we wandered to the back of the store. Wow! This is the largest ball of stamps in the world. 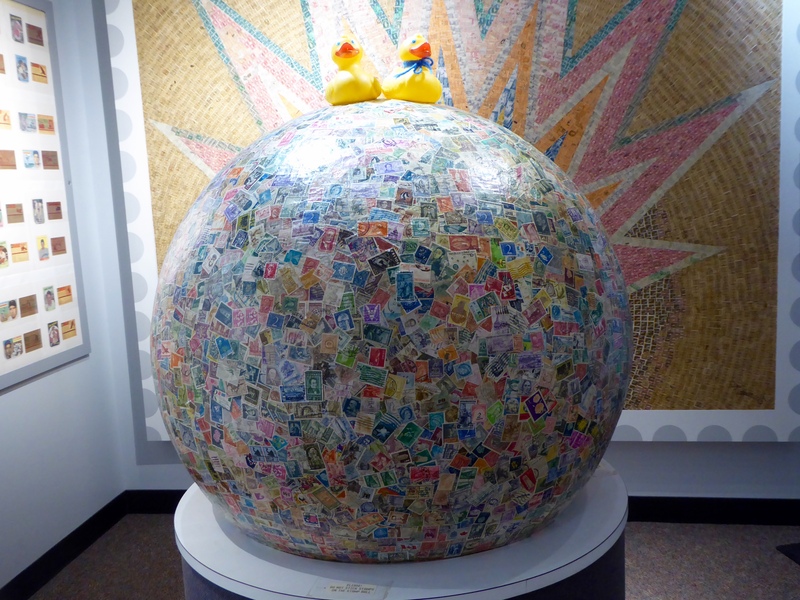 World’s largest ball of stamps! This is a solid ball of postage stamps, built one stamp at a time. Most of this ball of stamps was completed years ago when collecting postage stamps was a more popular hobby. Many of the boys and girls at Boy’s Town were stamp collectors. They have a penny slot and a box of postage stamps. Humans can look through the box of stamps and purchase whichever they want. And each stamp costs one penny. Put your penny in the slot and take a stamp. This ball of stamps has a diameter of 32 inches and weighs 600 pounds. There are 4,655,000 postage stamps that make up this solid ball of stamps. Now we see the Hall of History. The Boy’s Town Museum is in this building. 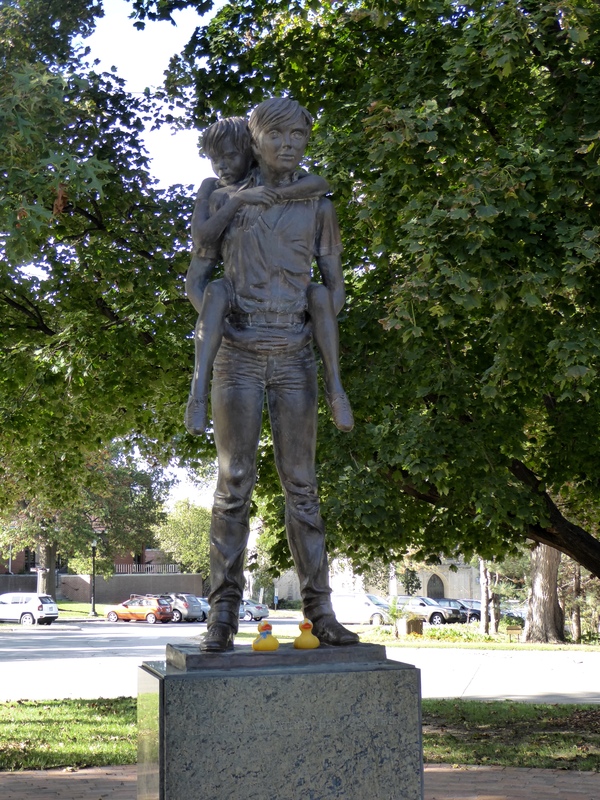 The statue of two brothers is a famous Boy’s Town Landmark. The slogan, He’s not heavy, he’s my brother encourages caring for each other. 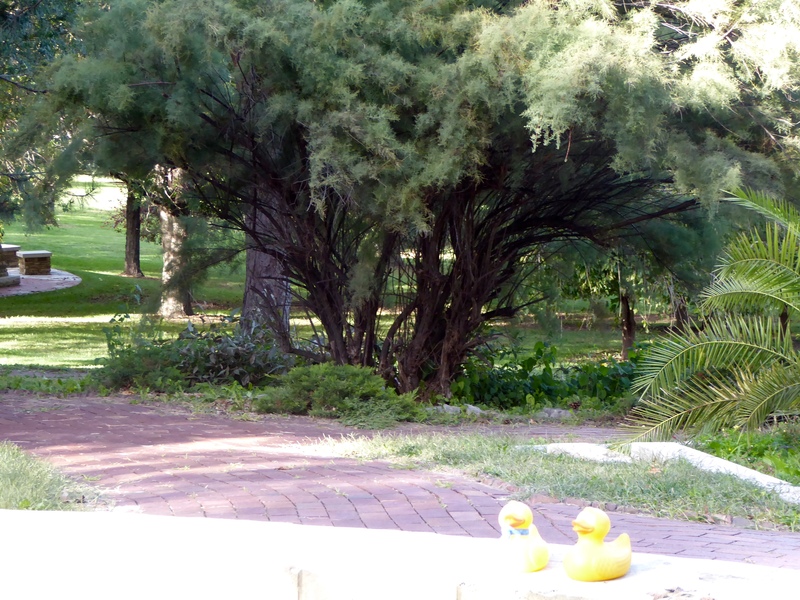 Nearby is the Garden of the Bible. This is very restful place. 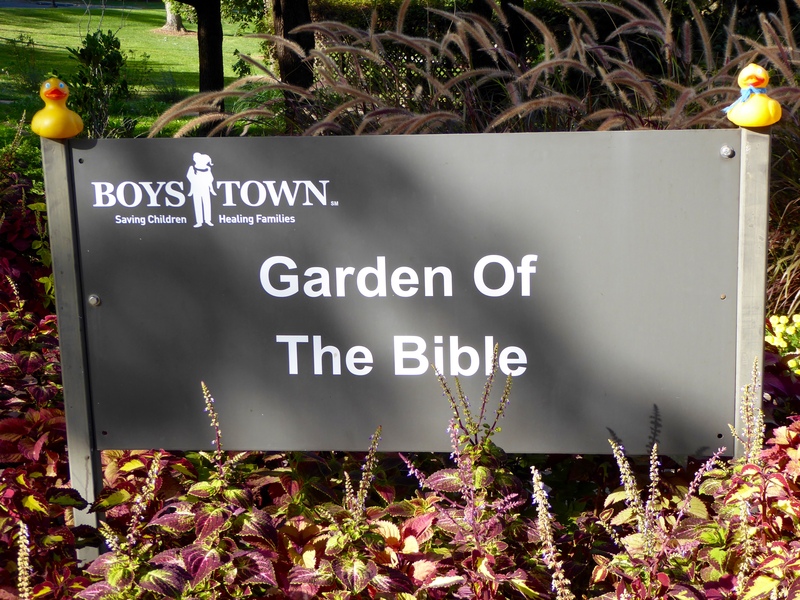 Boy’s Town teaches Christianity and the Ten Commandments and The Beatitudes are carved in stone and displayed here. 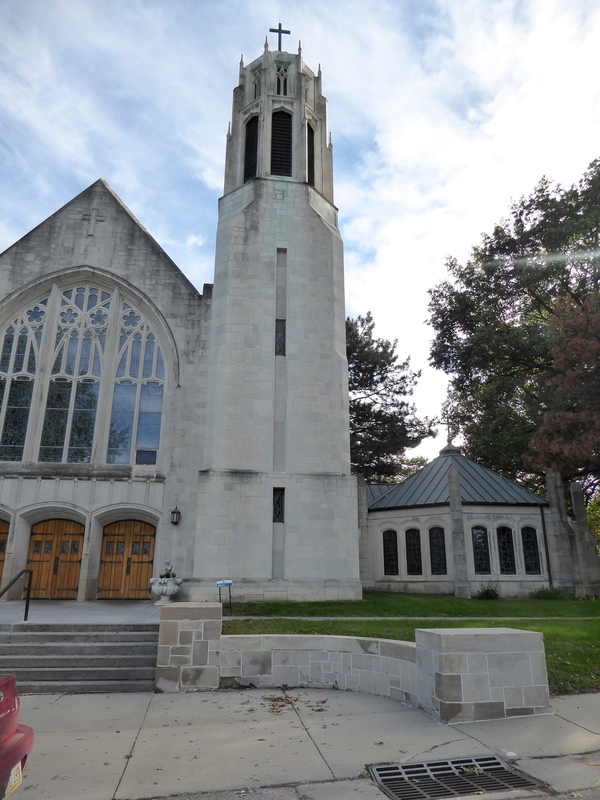 The Dowd Memorial Chapel is a special place at Boy’s Town. 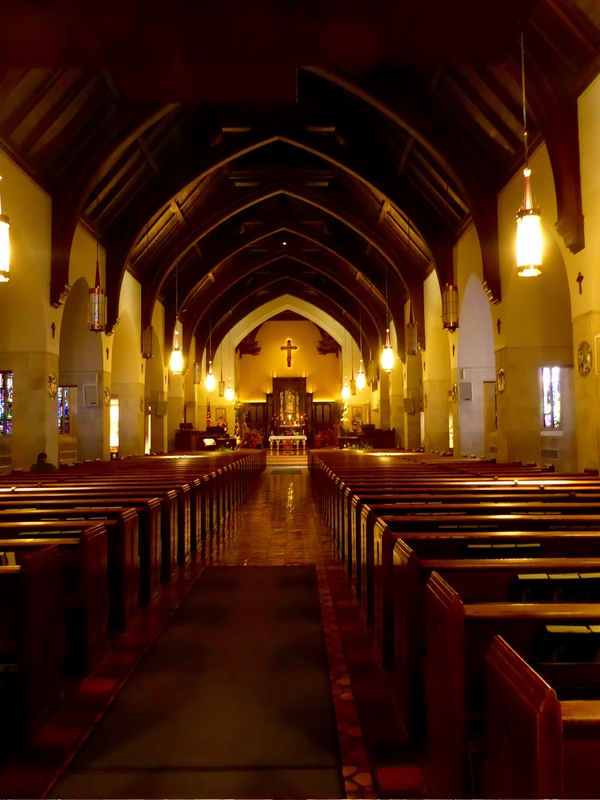 The inside of the Chapel is beautiful. The special part, the round part to the left, holds the tomb of Rev Monsignor Edward J. Flanagan. 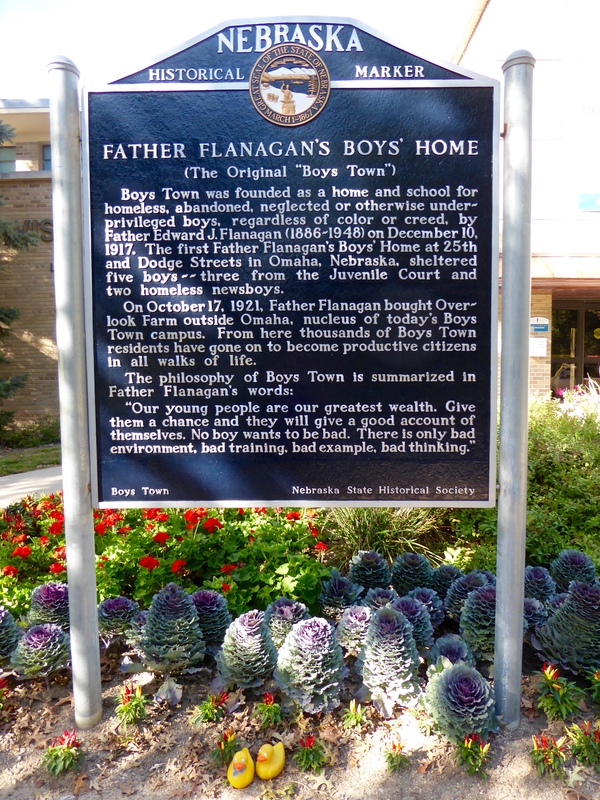 Father Flanagan was the founder of Boy’s Town. His mission, simply stated, was to care for the boys and girls that needed to be cared for. The children who were abandoned, unable to care for themselves, or just needed someone to care. 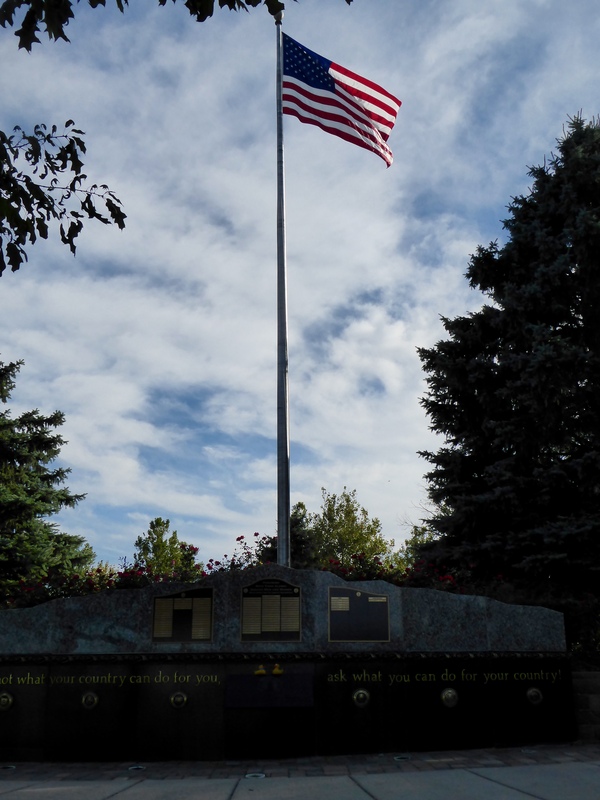 The monument, with the US flag honors those from Boy’s Town that gave their lives serving the United States. Boy’s Town is a wonderful place and after visiting here, we know mom will be sending bigger checks to help them even more. 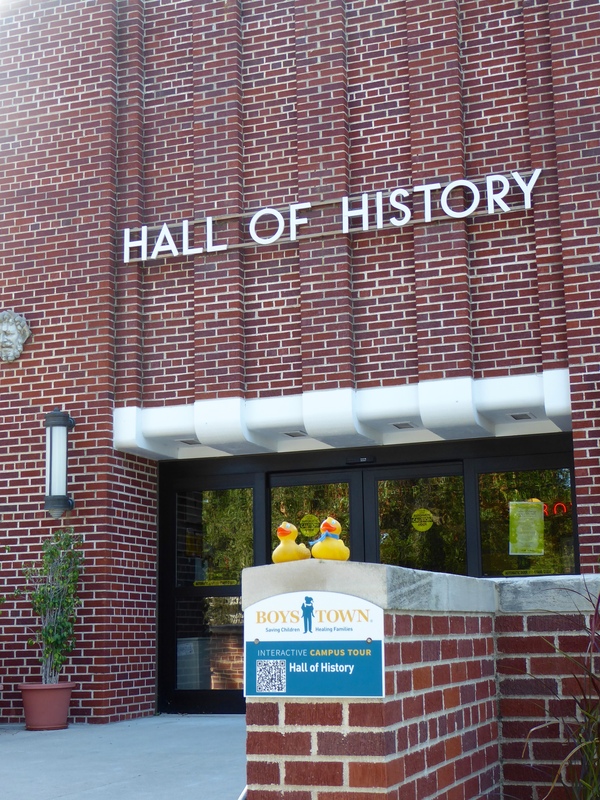 We hope you can visit here and see the amazing things that happen at Boy’s Town. 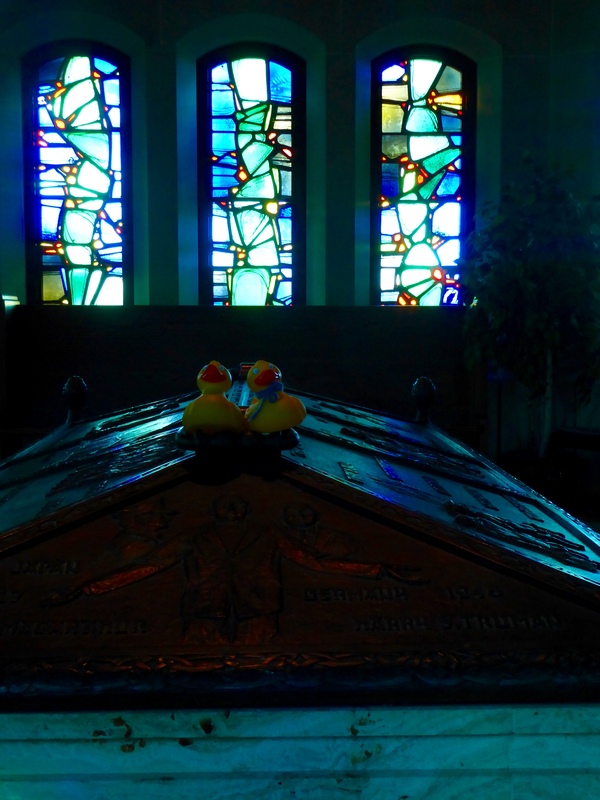 This entry was posted in Nebraska, Uncategorized and tagged Boy's Town, Colorado Traveling Ducks, Father Flanagan, Nebraska, Omaha, World's largest ball of stamps. Bookmark the permalink. I admire you so much for the adventures you and Zeb take. Thanks. We have so much fun exploring. You are Channel also inspire us. Thanks for reading and commenting.